Over the last two weeks I have been traveling extensively which has given me the chance to view a lot of media which I am not exposed to when at home. 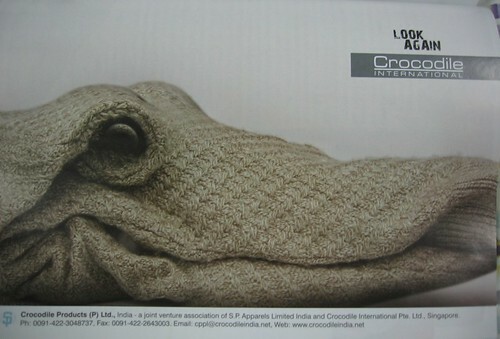 Here are two ads in particular which caught my attention instantly. 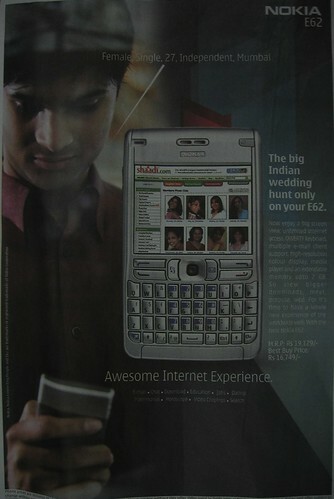 It was interesting to see this Nokia ad which talks about it’s new phone’s feature using a shaadi.com mention. Hmm, I thought this was supposed to be their business phone model, so adding the shaadi.com angle has made it even more interesting for the new-age young business-man. I wonder if shaadi.com paid them something for this heavy mention.